If you plan a direct-mail campaign, for example, be sure to choose recycled-paper envelopes and stationery. Imprint collateral with the proper recycling logo whenever appropriate. Choose lumpy mail enclosures that support the environment such as earth-friendly bookmarks that have seeds imbedded in them. The bottom of the bookmark can be planted, while the top portion can serve as a great reminder to your recipients of corporate responsibility. Think of quarterly messages with an environmental theme that you can share with your employees and clients. For example, a “Mighty Drip” water drop-shaped jar opener can be tied to a promotional concept of “refreshing” ideas or products, while also providing an underlying message of water conservation. 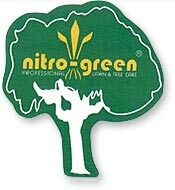 Or, tree-shaped magnets can remind recipients of your brand and phone number, while conveying a message that your business is “rooted” in providing the best service available. Finally, look for ways to help customers go green. Retailers can host incentive programs such as “bring your own bag” to receive a 10% discount on products. You could even offer imprinted reusable shopping totes with your logo for a walking billboard effect. Shop owners, car dealers or professional services offices can keep “Clean & Green” activity coloring books on hand to occupy and educate children while their parents conduct business. There are many ways to put your greenest foot forward. Call us at 708-478-8222 or send us an e-mail today and we’ll get started on a program to make the most of your message.